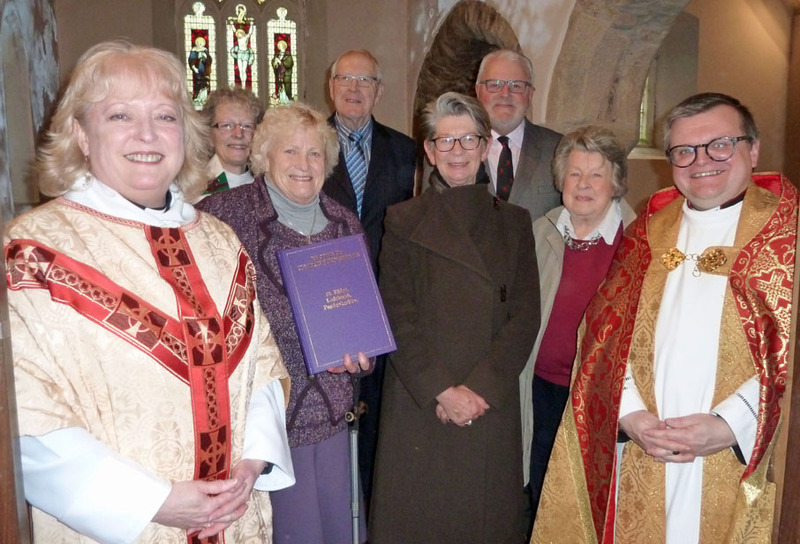 The Arts Society of West Wales presented a record of church furnishings to St. Elidyr, Ludchurch, Pembrokeshire at a Patronal Festival Service held on 28th January 2018 attended by a group of Church Recorders and members of our committee. This is the first record to be completed by this group of Church Recorders and is a detailed inventory of the artefacts and decoration within the church including memorials, metalwork, stonework, woodwork, textiles, library and windows. The group was founded in 2012 by Paul Speyer, 1936-2015, resident of Ludchurch for 38 years and Church Warden of St. Elidyr and the record is dedicated to his memory. 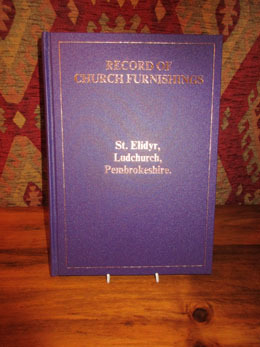 A copy of the St. Elidyr record has also been placed in the National Library Aberystwyth; digital copies have been forwarded to the Victoria and Albert Art Library, the Church Care Library and the Royal Commission on Historical and Ancient Monuments of Wales.